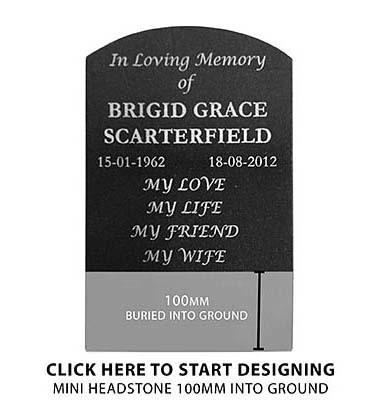 Our laser-etched black granite mini headstones have been designed to compliment our range of funerary products and satisfy the needs of those customers who wish to continue to use a traditional material for their memorial. The laser etching process allows us to etch beautiful, complex and intricate images of motifs, logos and photos into the surface of the granite. This style of headstone is available in a range of shapes. There are three installation methods for the Mini Headstones. The preferred installation method is a Mini Headstone base, providing stability and optimal viewing angle. 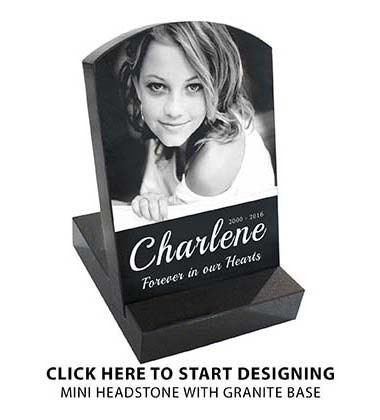 On ground, flat mounted Mini Headstones provide stability and maximum display area. A less preferred installation method of the Mini Headstone is to bury the bottom portion of the headstone in the ground. 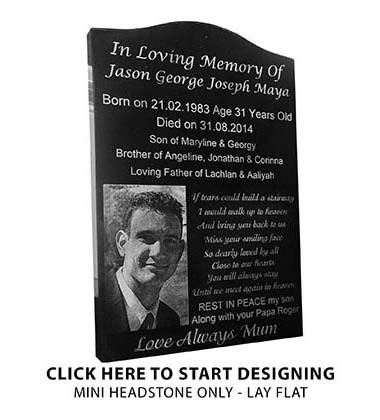 As a customer you have the opportunity to personalise the design of your mini headstone using the exclusive design section of our website. Within this very simple design system, you start by selecting the preferred headstone shape and drafting your personalized inscription with a choice of fonts. You may upload your own image onto the headstone design, which can be laser-etched into the granite headstone or added as an image overlay with a choice of enduring materials. We have also made available an extensive library of thousands of motifs for you to choose from. 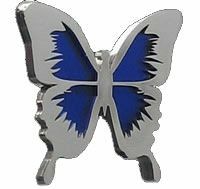 These images can be added to your design as laser-etched motifs, stainless steel motifs or coloured glass-backed motifs. At any time during the design process you can click the check price button to determine the price of the design. You may save and edit your design as often as you want, and email your saved designs to family and friends. Once you are completely happy with your design, you can order online. The personalized inscription is produced by a carefully controlled laser that etches the inscription directly into the surface of the granite design by actually burning into the substrate. The finished product is stunning in classic black & white. Currently there are ten fonts available. Black granite is considered the 3rd hardest material known to man, after Diamonds and Rubies. The estimated life of laser etched granite inscriptions is hundreds of years outdoors and virtually forever indoors. 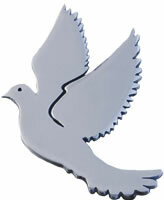 A stainless steel motif is produced by forming the shape of an image in stainless steel. The image is normally flat and 3mm thick but may be thicker for large size images. The stainless steel motif is permanently fixed to the face of the memorial. You choose the shape of the motif that you require from those available on the Forever Shining website library. You also choose the size, location and orientation of the motif on your design. A raised stencillised glass backed motif is essentially a double thickness stainless steel motif that has a glass backed stencillised pattern cut out within the shape of the motif. You may choose the shape and colour from those available in the forever Shining website library. You may also choose the size, location and orientation of the motif on your design. A raised 2 colour stencillised glass backed motif is essentially a double thickness stainless steel motif that has a stencilised pattern cut out within the shape of the motif which is backed by glass of 2 different colours. You may choose the shape and colours from those available in the Forever Shining web site library. The two colours enhance the attractiveness of the motif for these particular shapes. You also choose the size, location and orientation of the motif on your design. There are almost 6000 images of art, objects and backgrounds to choose from in the Forever Shining website library of Images/Art. One or more of these images can be laser etched into your granite or marble design. Simply choose the image that you require, size it appropriately and locate it to suit your design. The laser etched granite image is an image of your choosing that is laser etched into the face of your granite design. The image is supplied by you and may be of a person, logo or other image that you may wish to have on your design. You may upload your own image to your design using the DIY design section of the Forever Shining web site. For best results supply only a good quality image. The quality of the laser etched granite image will be similar to the quality of the image supplied. If required, special notes need to be supplied with the image. e.g: “remove background”. You also choose the location, size and orientation of the image on your design. The granite overlay is 10mm thick, polished black granite with a photo of your choosing laser etched into the face of the granite. The photo is supplied by you and may be of a person, logo or other image that you may wish to have on your design. The granite overlay is fitted onto the face of your design. You select the shape and size of the granite overlay from those available on the Forever Shining website together with the location of the granite overlay on your design. You also choose the size, location and orientation of your image on the granite overlay. You may upload your own image to your design using the DIY design section of the Forever Shining web site. For best results supply only a good quality image. The quality of the laser etched granite image will be similar to the quality of the image supplied. If required, special notes need to be supplied with the image. e.g: “remove background”. The Lifetime Image is fine milled aluminium alloy approximately 1mm thick with an image of your choosing etched into the face of the aluminium. The lifetime image is fixed onto the face of your design. The technology “opens the pores” of the aluminium and “roughens the walls” of those pores to enable dyes to be printed into, not onto, the anodic layer. A thermochemical sealing process then locks in the dyes and the resultant image possesses remarkable longevity characteristics. The image is supplied by you and may be of a person, logo or other image that you may wish to have on your design. The image may be black and white or colour. 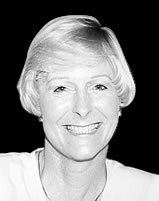 Ensure that only good quality images (jpg or hard copy) are supplied to us together with any special instructions. eg. “Remove background”. A lifetime image may be oval or rectangular shaped and can be supplied with a border if required. You may choose the size of your lifetime image from the sizes available on the Forever Shining website. You may also choose the location and orientation of the lifetime image on your design. 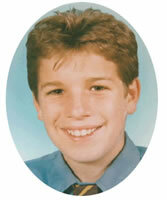 You can upload your image onto the lifetime image via the Forever Shining website. A Ceramic Photo is a coloured, glazed ceramic image of a photo or image which is fixed to the face of your design. Ceramic photos are available in specific sizes only and are oval or rectangular shaped. You can choose the shape and size of the ceramic photo from those available on the Forever Shining website. You also choose the location and orientation of the ceramic photo on your design. You can upload your image onto the ceramic photo via the Forever Shining website. A Porcelain Photo overlay is a coloured, glazed porcelain image of a photo or image that is fixed to the face of your design. A porcelain photo overlay is available as an oval in specific sizes only. A porcelain photo overlay has a flat face with a thickness of approximately 6.5mm. The edges are smooth and rounded. During the manufacturing process porcelain photo overlays are fired at 800 degrees centigrade and have an anticipated life well exceeding 100 years. The image is supplied by our customer and may be of a person, logo or other image that our customer may wish to have on their design. The image may be black and white or colour. Ensure that only good quality images (jpg or hard copy) are supplied to us together with any special instructions, eg. “Remove background”. We cannot produce a good quality image on our product if we are supplied with a poor quality image to start with. Furthermore, the file size of the electronic image supplied is dependent on the physical size of the image required. If the finished image size is approximately 100mm x 100mm a file size in the range 500kb to 1mb is usually satisfactory. If the finished image size is more like 180mm x 240mm a file size in the range of 2mb to 3mb is usually required. If a suitably sized electronic image is not available for production purposes, please supply us with a good quality hard copy photo which we can scan into our system. The hard copy photo can be returned with the finished product. Our customer can choose the size that they require and upload an image and apply a limited amount of text onto the porcelain photo overlay via the Forever Shining website. Our customer needs to ensure that any text is legible and does not interfere with the image. Our customer also chooses the location and orientation of the porcelain photo on their design. Photos of copyright or trade mark images will require written permission from the owner of the copyright or trademark. 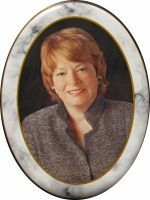 For those customers seeking to source an overlay for an existing memorial, they should select “overlays” from the menu and upload their image & text, if any, onto their porcelain photo overlay and purchase it online. A headstone base is installed directly below a headstone. While a base is structurally sound in itself, it is not a required structural requirement of a headstone installation. Bases are basically installed for aesthetic reasons. The width of the base depends on your requirements and can be the same width as the headstone or wider. A granite or stainless steel base can be installed with a granite or stainless steel headstone. Use of a base is optional and at your discretion. 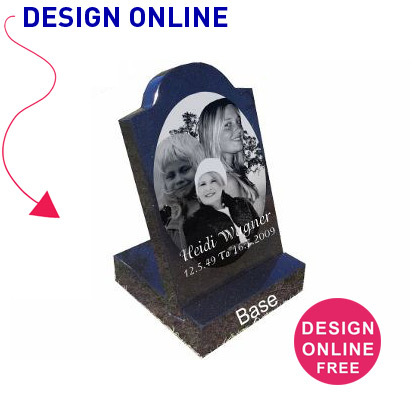 Standard headstone bases are 100mm high and 230mm deep. 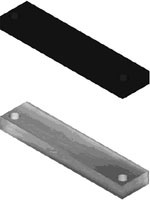 Bases are available in any width from 300mm to 1200mm. Bases can be supplied with or without flower pot holes, flower pots and/or inscriptions. Most customers do not want an inscription on their headstone base. However, should you require an inscription, please contact us directly by email or phone. Various cemeteries have different requirements and limitations on the size of headstones that they allow to be installed on their property. There is no reason why a Forever Shining laser-etched black granite headstone cannot be installed in any cemetery. Before an order is placed for one of our headstones these issues should be discussed between the customer and the cemetery to ensure that the needs of all parties are satisfied. If there is a trademark or copyright associated with an image or logo that is required on a headstone, please ensure that written permission for us to reproduce the image or logo is provided by the owner of the trademark or copyright and that permission is supplied with the order. The order will not be processed without that permission. A beautiful laser-etched black granite headstone is a permanent and lasting memorial to your loved one and a place for you and others to visit in the cemetery to reflect on and remember the life of the deceased.